Home > Blog > Discount deadline is approaching! 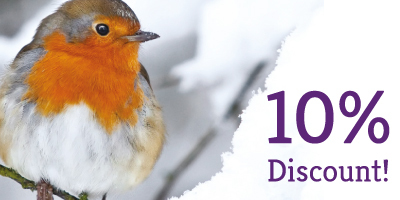 Christmas is fast approaching, as is our 10% discount deadline. This special offer is only available up until the 2nd of November so hurry and place your order with us! At Admiral Charity Cards we specialise in making your Christmas message as personal as possible. with a choice of any UK registered charity, no limits on your inside personalised greeting and a wide range of cards to suit everyone. If none of our range this year really stands out to you then feel free to use your own image for only an extra £25. If you have any other ideas for your personalised charity Christmas cards this year, contact us via email at sales@admiralcharitycards.org, via telephone on 020 7610 6193 or even through our website through our contact us page. Our friendly and experienced customer service team will be happy to assit you. Still struggling to decide? Why not order a variety of samples. You can order up to siz free sample Christmas cards of any design you wish.